2017 marks the 25th year since the introduction of the very first Honda Type R vehicle globally. 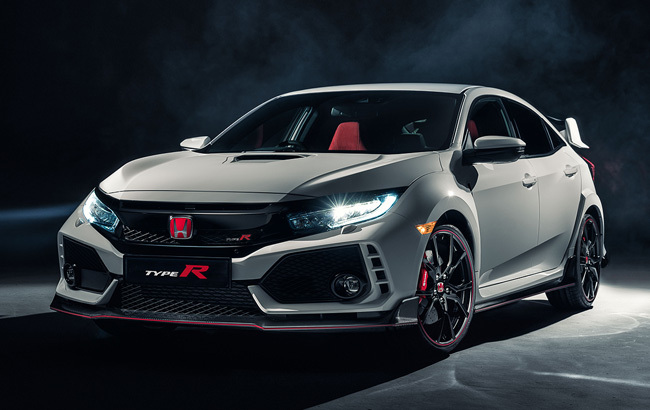 For more than two decades, the Type R badge has denoted the highest performance version of its respective model, derived from philosophy of crafting racing-inspired road cars. Honda’s Type R models have always represented the purity of the original concept of minimizing weight while maximizing power, responsiveness, dynamic stability and braking performance, which aims to deliver the most rewarding driving experience, both on the road and on the race track. Newly engineered from the ground up to deliver the most rewarding driving experience in its segment, the fifth-generation Civic Type R represents the first truly ‘global’ Type R.
Powering the All-New Civic Type R is a 2.0-litre VTEC TURBO engine with a maximum power output of 310 PS at 6,500rpm, and peak torque of 400 Nm from 2,500rpm to 4,500rpm. The engine is mated to a 6-speed manual transmission that is further enhanced by a rev match control system which enables the car to sustain maximum power during gearshifts. The rev-matching function can be switched on or off in the user settings for the car, regardless of which driving mode is selected. All of the power is transmitted to its front wheels through an exceptionally responsive helical limited-slip differential (LSD) that gives the All-New Civic Type R’s strong cornering traction. The All-New Civic Type R also features a bespoke chassis, suspension, and steering setup for a more responsive handling as well as improved high-speed stability. At the front, the All-New Civic Type R sports a lower-arm-type front MacPherson strut suspension that minimizes torque steer and maximizes handling. While at the rear, a multi-link suspension setup helps the All-New Civic Type R improve its stability when braking as well as reducing the vehicle’s body roll movement when cornering. The All-New Civic Type R also features a revised four-wheel Adaptive Damper System that delivers superior ride quality and exceptional road performance. The system is incorporated with a three-chamber design upgraded shock absorber units that gives a wider range of variability on damping force in different driving conditions. And to help the driver manage the All-New Civic Type R’s prodigious power, the front brakes are equipped with ventilated and cross-drilled 350mm disc with 4-piston caliper Brembo brake package. Furthermore, the All-New-Civic Type R’s Dual Pinion Variable-ratio Electric Power-Assisted (EPS) Rack and Pinion Steering carries an individually calibrated setting for each of the three selectable driving modes: +R, Sport, and Comfort. These driving modes give the All-New Civic Type R greater usability. Each driving mode sets the adaptive dampers, steering force, gear shift feel, and throttle response of the car differently to give the driver’s demand in a push of a button. The Vehicle Stability Assist (VSA) system is retuned for +R mode to focus on acceleration and performance, allowing the driver to maximize the car before activation of the VSA. 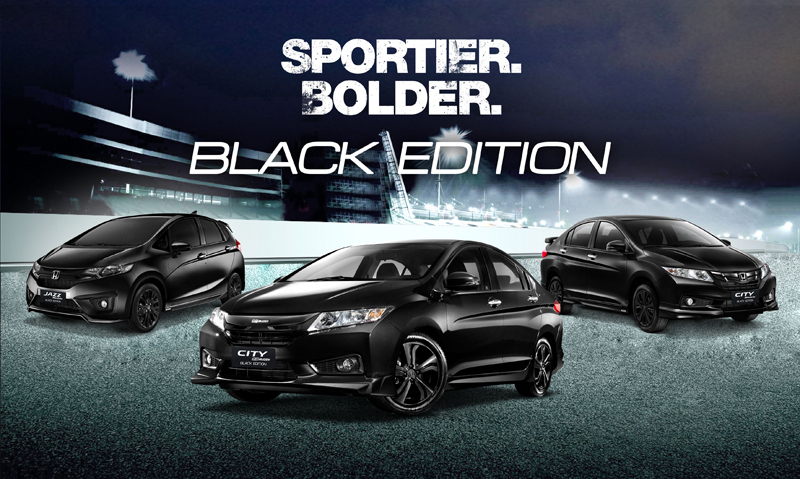 five-seater hatchback carries an aggressive front grille, a Type R wing type spoiler, and Vortex generators at the trailing edge of the roof line.The front and rear bumpers and side skirts also sport a carbon fiber effect and sporty red accent line, which runs around the entire vehicle. The muscular and aggressive body, combined with its aerodynamic package, gives the All-New Civic Type R best-in-class balance between lift and drag, contributing to better high speed stability. The sharp and aggressive front grille is an interpretation of Honda’s family ‘face’, incorporating the signature Honda front full LED headlights with auto leveling and auto on/off that complements each distinctive feature. The All-New Civic Type R is also equipped with a new lightweight aluminum hood with hood scoop to provide higher air intake to the turbo. And to keep the All-New Civic Type R’s massive airflow,three fully-functional tailpipes are positioned at the rear lower center of the car. Main tailpipes on either side deliver exhaust from the engine, while a unique, smaller center tailpipe controls the sonic tone of the engine. Similar to previous Civic Type R models, it is adorned with Honda’s famous red ‘H’ badge. Filling the enlarged wheel arches are 20-inch Berlina Black alloy wheels with 245/30 R20 tires. With the combination of the 2.0 VTEC TURBO engine, 6-speed manual transmission with rev match control system, bespoke chassis, adaptive suspension, and an aerodynamic exterior, made the All-New Civic Type R set a new benchmark lap time for the front-wheel drive category at Nürburgring Nordschelife last April 3, 2017 with a record breaking time of 7minutes and 43.8seconds. The interior treatment of the All-New Civic Type R models remains unmistakable, as it can be traced 25 years back to the very first Honda with the iconic red badge. The All-New Civic Type R presents a sophisticated, premium ambiance of the standard vehicle cabin with striking suede-effect red and black fabric trim for its Type R spec bucket seats. The steering wheel boasts red leather inserts and hexagonal stitching, while the dashboard panel’s carbon center inlay is surrounded by red pinstripe trim extending into the side door panels.On top of those upgrades, an exclusive Type R serial number plate (unique to every vehicle) is placed near the gear shift lever and a Titanium Type R spec shift knob. In front of the driver, an instrument display layout provides vivid clarity and highly intuitive user interface. A 7-inch full color Thin Film Transistor (TFT) Type R Spec Instrument Cluster with red illumination includes virtual gauges and switchable section that can display a variety of different function readouts including Driving mode display (+R, Sport, Comfort), LED gearshift indicator light, Turbo boost pressure gauge, Throttle/brake input display, G-Meter, and lap time recorder. Furthermore, the center console of the All-New Civic Type R features a piano-black finish, following a ‘technology center’ theme. On top of the center console sits a seven-inch touchscreen with advanced display audio and navigation. Control functions for the dual zone automatic air conditioning system and reverse camera display with dynamic guidelines are also integrated on this panel. This panel also offers an enhanced intuitive operation and full smartphone integration with iPhone and iPod connectivity via USB or Bluetooth. With the uncompromised power and latest technology of the All-New Civic Type R, driver and passenger’s safety remains a top priority as it is equipped with front and side airbags, side curtain airbags, Vehicle Stability Assist (VSA), Hill Start Assist (HSA), and Anti-Lock Braking System (ABS) with Electronic Brakeforce Distribution (EBD). Other convenience and security features such as Rain sensing front wipers, Walk Away Auto Door Lock, Speed Sensing Auto Door Lock, and Smart Entry System with Push Button Start comes as a standard in the package. HCPI will be bringing 100 units of the All-New Civic Type R this 2017 at a suggested retail price of Php 2,980,000. It is available in two colors: Championship White and Rallye Red. As a special treat to the first owners of the All-New Civic Type R in the Philippines, HCPI will be holding an exclusive event once deliveries are completed. Interested customers may reserve at any of the 36 Honda Car Dealerships nationwide starting July 11, 2017 and deliveries will start in September 2017.